Professor Karin Thursky is the Director of the National Centre for Antimicrobial Stewardship, the Deputy Head of Infectious Diseases at the Peter MacCallum Cancer Centre, and the Director of the Guidance Group. 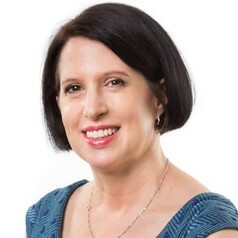 An infectious diseases physician, she is a leader in the design and implementation of antimicrobial stewardship programs, with a particular expertise in the use of computerised systems to support better antibiotic prescribing. The Guidance program, which supports clinical teams in hospitals to monitor the appropriateness and safety of antibiotic use, is implemented in over 60 hospitals across Australia. The National Antimicrobial Prescribing Survey is a core component of the National Antimicrobial Resistance Strategy. Her multidisciplinary team of clinician and health service researchers is working to establish and implement antimicrobial stewardship programs across animal and human health sectors.